This news is a bit old, but I need to address this disaster involving Italy’s most beloved sport: soccer. Carlo Tavecchio is one of the many symbols of Italy’s decline. I’m not really into association football (despite its big presence on the Italian media) but it was impossible to avoid talking about this fact for a while. 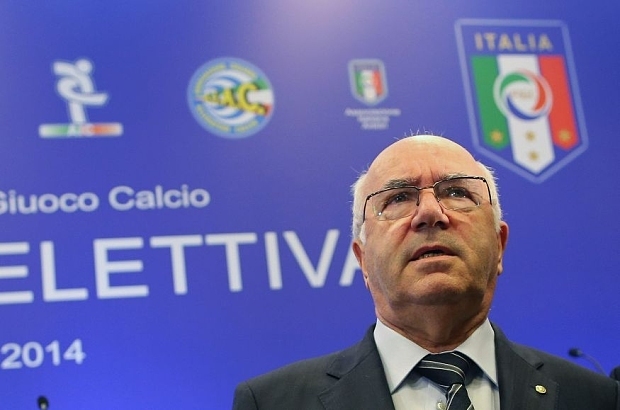 After the resignation of Giancarlo Abete, president of the FIGC (Italian Football Federation), following Italy’s failure at the 2014 FIFA World Cup, two men were considered to replace him: one person was Demetrio Albertini, a former football player for A.C. Milan, and the other one was Carlo Tavecchio, president of Lega Nazionale Dilettanti (LND, National Amateur League). Carlo Tavecchio was elected with the majority of votes, in the midst of a terrible storm of heavy criticism from the public opinion. In England, they identify the players coming in and, if they are professional, they are allowed to play. 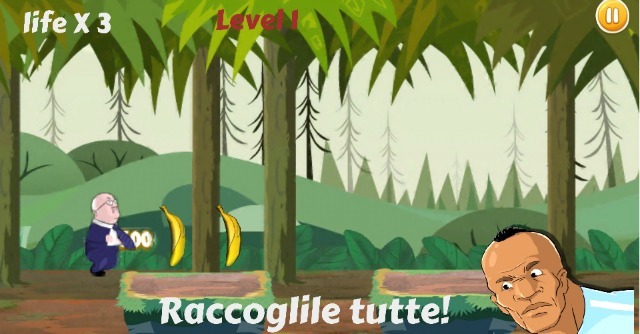 Here instead we get ‘Opti Pobà’, who previously ate bananas and then suddenly becomes a first team player with Lazio. That’s how it is here. In England, you need to demonstrate what you have on your CV and your pedigree. Tavecchio candidacy as FIGC president was questioned well before this statement, by the likes of Barbara Berlusconi (vicepresident of A.C. Milan), Andrea Agnelli (president of Juventus F.C.) and James Pallotta (owner of A.S. Roma), the disapproval grew rapidly, with many sport and political figures advocating Tavecchio to retire his candidacy giving the racist and ignorant tone of his phrase. But not only Tavecchio didn’t retire his candidacy, he also said, during an interview with the radio, that “the killer of John Kennedy didn’t suffer what I am undergoing these days”. Tavecchio was then elected president, backed by the votes of the majority of Seria A teams and all the executives of the other national leagues. This story is emblematic of the current status of the sport system in Italy: a complete disaster. Tavecchio, like many Italian sport executives of national leagues, has got a strong political background. He was major of Ponte Lambro for nineteen years representing the Christian Democracy (his predecessor, Giancarlo Abete, was also a representative in the parliament for the DC), before entering the sports world in 1986 with a regional role in the LND, climbing the ladder until he became president of the league in 1999. Like many terrible politicians, he has been charged of various crimes: tax evasion, omission or falsification of reports, abuse of office. Ridiculous, absolutely ridiculous. You can search on Twitter with the hashtag #TavecchioVattene (#GoAwayTavecchio) to see how much hate this character generates whenever he appears on the TV (Italian “journalists” really know how to praise the powerful one). In the United States (which are not the most perfect place on Earth), major owners are banned for life after racist remarks. Lately the Atlanta Hawks’ owner Bruce Levenson was also forced to sold after he self-reported (are you perceiving the difference?) a racist e-mail he wrote back in 2012. We have just started to scratch the surface of the dirty side of Italy. There are lots of sport related facts that we need to talk about in this blog.